Trip Application Deadline is February 15! The Companion Synod Network is offering an new opportunity to visit one of the Western Iowa Synod's companion churches, the Southern Diocese of the Evangelical Lutheran Church in Tanzania. Although the exact dates are still to be determined, the three week trip will take place between July 15 and August 15 this year. "These trips are great opportunities for personal growth, for deepening companion congregation and companion synod relationships and for each individual to have what can be a life-changing experience," says Companion Synod Network chair, Arlyn Norris. "I have taken four trips to Tanzania and two to visit the Chilean Lutheran Church and have been blessed richly each time I went." If you have never been to one of our companion synods, this summer will be a great chance to visit the church in Tanzania. Interested persons are encouraged to pray and to consider whether God is calling them to make such a trip. Applications and other information about this trips can be found here on the WIS website. The deadline for applications is February 15. Is God calling you to such an adventure? 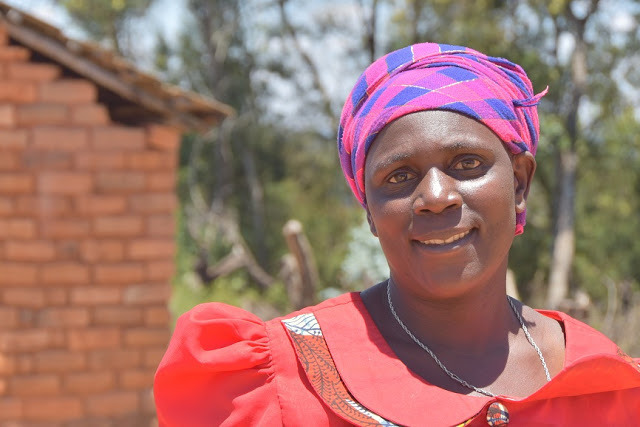 Anzetye Longo is a Tanzanian woman whose life has been changed. It happened when she became a member of the Savings and Credit Cooperative Society (SACCOS) that was organized in her village. been a member of her SACCOS since 2013 and has taken out many loans. Her first loan was for $75 which she used to buy some kangas (a type of cloth) in Iringa to resell in her village of Ugesa. She did well at this and has since borrowed to increase her stock, gradually building up her business. She now has a duka (shop) where she sells kangas, pots and pans, and general household goods. She has bought some land and is starting to build herself a larger shop. So far she has invested $1,500 of her profits in her business which continues to grow. This year she will probably earn over $1,000 from her shop. That's 2-3 times the median family income in her area! The Companion Synod Network wants to establish at least 8 new SACCOS in southern Tanzania to make micro loans available to many more Tanzanians. You can help. You can make your own gift to help start a SACCOS. Or you might make this a Lenten project for your family, your church group or your congregation. You could even become a fundraiser for the SACCOS project. It isn't as hard as you might think. The article below describe just how easy it can be. You can make a difference in the lives of Tanzanians who are working to improve life for themselves and their families. For more information about SACCOS and how you might help, click the button below. Whatever way you choose to help will truly be a God-pleasing gift! Once you’ve sent your first batch of emails out, it’s time to turn to social media. By now you have seen what an impact SACCOS can have on the lives of ordinary Tanzanians. A SACCOS micro loan can help them dramatically increase their family income and to improve their standard of living. Maybe you have already made a gift to the Western Iowa Synod to help establish a new SACCOS in the Southern Diocese. Or perhaps you are considering such a gift. Did you realize you can significantly increase your impact for this project by becoming a SACCOS fundraiser. Many people have never thought of themselves as a fundraiser. Yet by participating in a crowdsourcing effort, you can raise a significant amount of money for a cause you believe in. For instance, during our CSN Giving Tuesday, one individual sent emails to family and friends, telling them about SACCOS and asking them to consider making a gift. That one effort yielded over $1000 for the SACCOS project. How do you do it? Simply click on the button at the end of this article. That will take you to the WIS SACCOS website. Just choose the become a fundraiser button there and follow the easy steps. Nobody likes to be first. That’s why it’s always a good idea to get your fundraising off to a good start by making the first contribution. This will make others more likely to get involved. We’ve put together an email template you can use right from your fundraising page. The most important thing you can add to this message is why you are fundraising. Let your family and friends know why this matters to you, that’s what they care about most! It’s always best to start by emailing your close contacts because they are the most likely to donate. Try sending some quick personal messages to your inner circle to build up some momentum. Then use the email template you customized to reach all of your other contacts. One of the best strategies to use on both Facebook and Twitter istagging and thanking people that have already donated while you are asking for new donations. This spreads your message further and lets the people you are asking know that people are already getting behind you. Don’t hesitate to send a few follow up emails. Emails are easy to overlook and people often open them up quickly and then forget to go back to them. Use email to keep people up to date with your progress as you hit different milestones (50% raised, 75% raised, etc.) and ask supporters to help you hit the next milestone. Fundraising often takes a little creativity and persistence, but it’s vitally important to our mission and you can do it. Know that your effort will make a big difference! Click the image above to see a video describing more about how the SACCOS project works. When you are finished, just use your browser's back button to return to Footsteps. 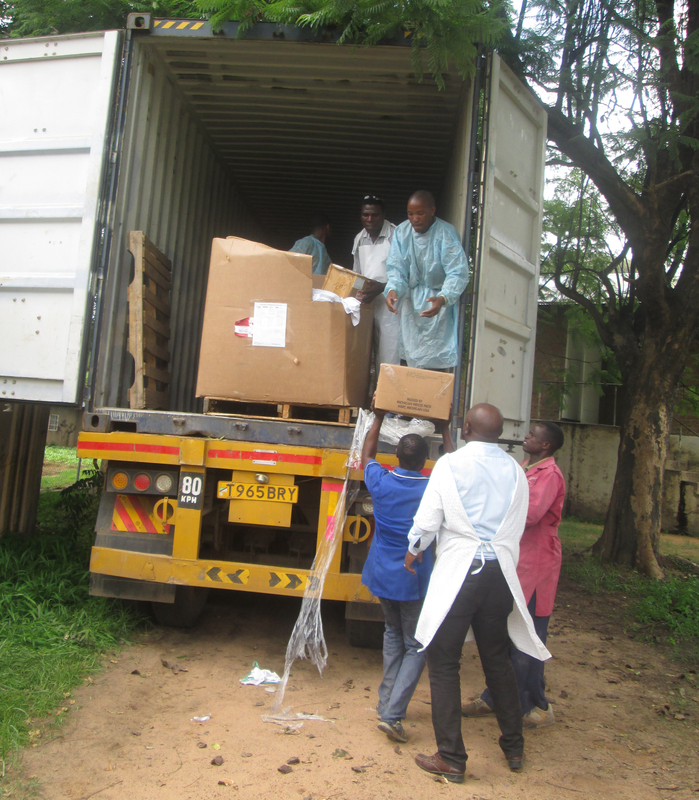 Recently the Western Iowa Synod was able to work with Global Health Ministries of Minneapolis to arrange for a new shipment of medical supplies for Ilembula hospital in southern Tanzania. purchased with funds from Trinity Lutheran Church in Webster City. Items that had been collected at the last Western Iowa Synod assembly such as newborn kits, hospice kits, wheelchairs, and many more vital supplies were also included in the shipment. A team from the Western Iowa Synod returned from a recent trip to Chile with many powerful experiences to share. The group of eleven travelers was hosted by our mission companion synod partner, the Evangelical Lutheran Church in Chile (IELCH) Nov. 17-Dec. 4, 2017. Although there are only 10 congregations and four mission points in the IELCH, the impact of this church body reaches from the large capital city of Santiago to the southern-most tip of Chile on the Strait of Magellan. While there, the mission team was able to visit nearly all of the congregations and mission points, meet the pastors and lay people and share in worship and Bible studies. The IELCH provided the group with an emersion into their ministries in the areas of popular health education, schools, micro-enterprise, domestic violence, substance abuse awareness and prevention, disaster relief, and camping ministry. 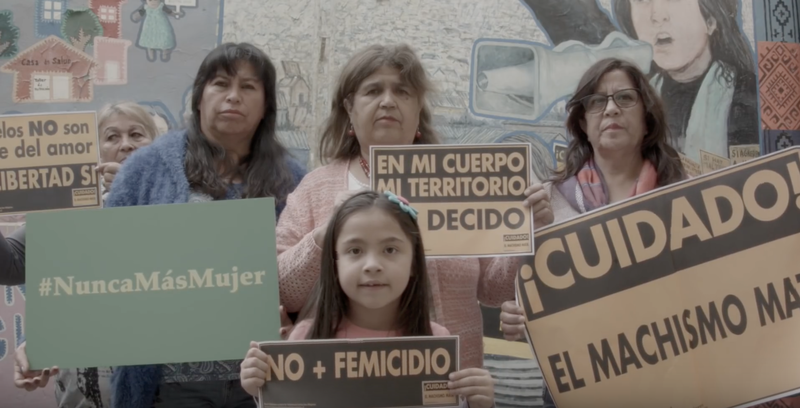 Among the many highlights was the participation in a Women’s March- “No Más Violencia” where the Iowan guests joined thousands of Chileans on the streets of Santiago in a peaceful, but passionate demonstration calling for “No More Violence” in an effort to end discrimination and violence against women and to eliminate femicide. The IELCH is a voice of change for peace, human rights, justice and equality and the WIS walks together in solidarity with our brothers and sisters. The companion synod relationships with Chile and Tanzania belong to the whole Western Iowa Synod. We encourage all to learn more about these dynamic church bodies and our companion relationships. Many are willing to come and share with you—invite us! We additionally encourage you to consider joining future pilgrimages to their place and to warmly receive and grow to know our companions when they are here in our midst. The mutual leaning and blessings of our companion synod relationships can deepen the Christian journey for us all. Paulina Dasse from the ELCA Global Mission department and a native of Punta Arenas, Chile also accompanied the group. Inspired by a vision of quality and fairness in health care for the poor, EPES was founded in 1982, during Chile’s years of military dictatorship, as a project of the Evangelical Lutheran Church in Chile(IELCH). Over the past 27 years, EPES has grown from a small emergency-response team to a leader of community mobilization for health services, awareness and empowerment. The International Companion Program (ICP) is a joint effort between the ELCA and its synods to bring youth from our companion synod relationships to the National Youth Gathering and to our synods for greater and deeper partnerships among us. This year the Western Iowa Synod is inviting a youth from the Evangelical Lutheran Church in Chile. As this is written we still we await information concerning the youth that is chosen to visit WIS. Other synods and companions participating in this opportunity include the Texas/Louisiana Synod and Peru, Metro Chicago Synod and the Central Diocese of South Africa, NE Iowa Synod and Namibia and Hungary, NW Ohio Synod and Serbia, Tanzania and Mexico, and Southern Ohio Synod and Brazil! In addition, the Western Iowa Synod hopes to have the youth present at our synod assembly, spend time in our bible camps, be in congregations on the weekends, attend the National Youth Gathering as a member of one of our congregations and celebrate the 4th of the July! This will be a very special time to impact faith and formation--for the youth and for all. Be looking for opportunities to connect with the person who visits us.